City Center Hotel is owned and managed by a Chinese family corporation. The building where the hotel stands now was acquired back in 1965. Their first family business, Mountain Studio, is located at the first floor & their cafe-restaurant, Beans Talk, is situated on the second floor. The first business hotel in town, offering 40 well-equipped, comfortable and relaxing rooms for leisure and business traveler-alike. 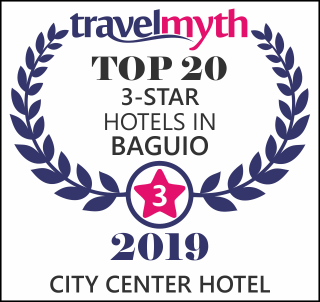 City Center Hotel is the perfect place to stay as it is situated right proximate in the business street of Baguio, Session Road.